Re-lineate, incorporate, untranslate, narrate, collaborate, investigate and capsize your ailing poem. Participants will look at the work of Brenda Hillman, Sean Singer, Latasha Nevada Diggs, Tusiata Avia, Maureen Seaton/Neil de la Floor/Kristine Snodgrass, Jayy Dodd to illustrate charged ways to reinvigorate stale or unformed material. Please bring a poem that needs resurrection and be prepared to celebrate at its innate genius – and play. 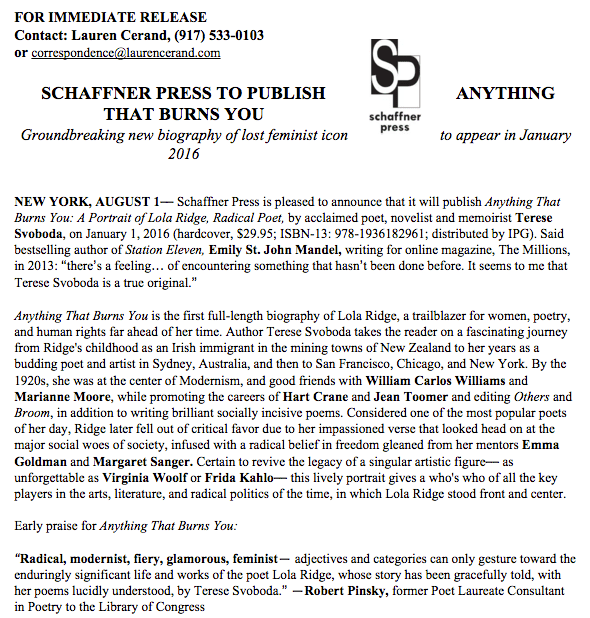 A Guggenheim fellow, Terese Svoboda is the author most recently of Professor Harriman’s Steam Air-Ship (poetry, 2016) and Anything That Burns You: A Portrait of Lola Ridge, Radical Poet(biography, 2018), and Great American Desert (stories, 2019). 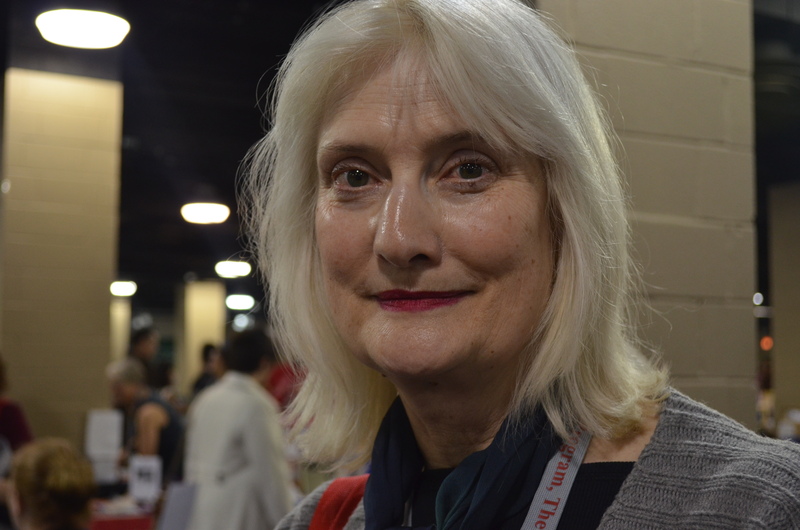 She’s won the Bobst Prize in fiction, the Iowa Prize for poetry, an NEH grant for translation, the Graywolf Nonfiction Prize, the O. Henry award for the short story, the Bobst prize for the novel, and a Pushcart Prize for the essay. Her opera WET premiered at L.A.’s Disney Hall. She’s taught at Williams, Columbia School of the Arts, William and Mary, Bennington, Sarah Lawrence, New School, Davidson, the Universities of Tampa, Miami and Hawaii, as well as in Tbilisi, Nairobi and St. Petersburg for the Summer Literary Seminars. For more information or to register for the event, please visit the Piper website. 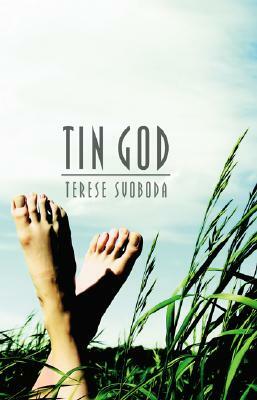 Today we are happy to share news about past contributor Terese Svoboda. Terese’s new short story collection Great American Desert is to be published by Mad Creek books. The collection has found its home in the new genre of ‘cli-fi’, or climate fiction, as it explores the relationship between man and earth from the past to distant future. The collection launches at the Corner Bookstore on March 26th at 6 pm in New York City. Terese will be in Phoenix to teach a workshop at Pipers Writing Studio on April 20th. S[r]’s author interview with Terese can be found here, and her short story “Madonna in the Terminal” can be found here. I hover in a helicopter over a beach where my two grown sons race to catch the spy-worthy ladder I’m dangling. Once they climb up (how do those spies do it, hand-over-hand, with a fierce wind at the rungs? ), my husband seals the cockpit from the poison that’s building up below, I gun the motor to leave–but to where? We hover, using up valuable fuel. Out to sea where smoke billows over the Atlantic? Up or down the nuclear-blasted north or south? My dream brain knows we can’t flee West. After 9/11, my father bought a truck that fit seven, certain he could drive to New York and quickly return us to the family homestead in Nebraska, sure bombs would reflect in his taillights all the way. Never mind that the SAC airbase in Omaha was where Bush hid until he was forced to make an appearance, that the cornfields of home lie a mere 300 miles away from the missiles – he would rescue us. Now my brother has commandeered my father’s truck, along with the deed to his house—and dumped him into assisted living. Home no longer exists. I dream my homelessness, I hover and know that the helicopter fuel will run out, joining the realities of travel with the impeccable dream-logic of anxiety. I’ve had experience: the post-nuclear world of the fifties was filled with such dreams. My father – like most – never explained why he didn’t invest in a bomb shelter like the neighbors, was heedless of the rising inflection of the inquiring helpless child, busy ducking and covering at school. Well, we only ducked and covered once, were expected to remember forever (we did) not to look at the fireball. Oh, Orpheus! If we were attacked by night, were we supposed to run back the twelve blocks to school to hide under our desks? I imagined running in the dark, the school gone, I dreamt it. Imagination is crucial to terror, and night causes the imagination to consolidate our rational daytime fears with our nighttime, the terror billowing out of control, forest-fire-wild, all light and shifting dark. Dawn sweeps the pre-verbal visions away, and holds terror at bay, no longer baying. The sun shines and the plants grow and those post-war children uncurl from their balls that they instinctively imagine protect them, never mind the desks. “In dreams begin responsibilities” according to Delmore Schwartz, whose book from the Fifties and Sixties chronicled disappointment with the American dream, reminding readers that they had to labor hard not to be pulled under by its false economic promise, its faux egalitarianism. Nothing bad happened on American soil for two hundred and twenty-five years except 9/11, nothing compared to the rest of the world. Our complacency makes violence elsewhere hard to imagine, we have only the little sparks of fear that light up our brains after any one of the thousands of mass shootings in the last five years, nearly all of them committed by Americans. But such complacency is also the result of partial blindness and deliberate amnesia. We’ve had at-home bombings throughout our history, anarchists planted 44 bombs that brought on the Palmer Raids and the first Red Scare 100 years ago, George Metesky set off dozens of bombs throughout NYC between 1940 to 1957 (he also slit open seats in movie theaters to hide explosive devices), Ted Kaczynski planted 16 bombs nationwide, fatally injuring three as recently as 1995. Our worst insurrection was also home-made: the Civil War killing 630,000 citizens, but mention should also be made of the 1921 bombing by Oklahomans of black Wall Street in Tulsa that left 10,000 people homeless and 300 dead. Are terrorists terrorists if they’re your fellow Americans, part of the family, as it were? A terrorist can be in bed with you, dreaming, night after night. My brother threatened to bring a gun to a meeting about the family farm. He believed (believes) in the right to bear arms wherever he wants. Does that make him a bully or a freedom fighter? It’s hard for me to understand how someone in my own family could redefine democracy so radically. Taking the benign concept of the family and delivering a gunman is a little like turning a plane into a weapon. Of course the surrealists believed that whatever can be imagined becomes real. The most potent threat is the threat: the imagining of terror. The current administration is adept at promulgating imagined terror, posturing with North Korea, actually dropping bombs on Syria, political moves that create enormous stress, the opposite of what a government is supposed to provide. Writers have a responsibility to use their imagination during times of stress. We need to imagine our survival and spread word of that imaginative act to others. I’ve always argued that novice writers have seen enough media violence to imagine any variation themselves, but when they need to imbue those scenes with emotion, they have to go to method-acting, and remember when their brother chased them around with a baseball bat, when their father’s hand was raised to hit them, or when the family dog turned, and magnify that response to fit the scene. Thank god, we survived it. Writers also need to read and translate from countries that have lived through drone attacks and American terror to understand what they have gone through, to imagine whether that cost is worth our feelings of security. The proposed wall along our border also raises this question. What is the illusion of security worth? Fiction writers traffic in illusion, which is not alt-facts but seeks to establish the truth through accurate portrayal of emotion. Readers understand that. The domestic novel of an unhappy marriage can be a distraction, a method for relieving oneself of terror, but the story about a totalitarian brother making one’s father suffer is perhaps more apt. The bluster of bullies is possible because they have never lost or never had the ability to imagine losing, they feel assured of their win because they can’t imagine otherwise. To imagine winning, we need to write out our fears with an urgency that makes them impossible to ignore, to make them real enough to act on. We can’t depend on twittering birds and daylight to trigger our survival instincts. Sleeping at night has become a problem for me. Dreaming is always the goal, reorganizing those brain bits so they work faster, unconscious enlightenment, rest. Waking from the dream, having imagined the worst, panting in the dark, I recognize that even my personal psychic safety has been withdrawn. I can’t go back to sleep anymore than I can go back home. Home is imagined: I’m awake and I have to make home again and again. Ask any refugee. Terese Svoboda’s 7th collection of poetry, Professor Harriman’s Steam Air-Ship, is now available here. 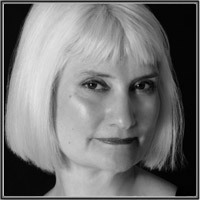 A powerful and versatile writer of both fiction and poetry, Svoboda has been featured in our magazine twice. Her fiction was published in Issue 7 and we interviewed her in Issue 5. 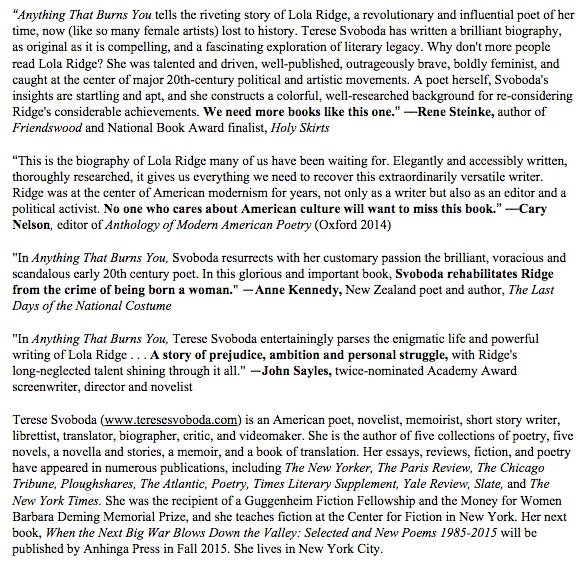 We love Terese Svoboda so much we featured her twice: In an Interview in Issue 5 and for fiction in Issue 7. Superstition Review Issue 7 has launched and to celebrate we will be featuring blog posts about our artists and authors. Today we will be highlighting a few of the talented fiction authors who are featured in Issue 7. 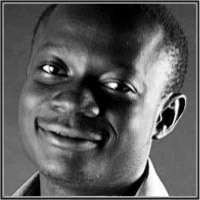 Samuel Kolawole’s fiction has appeared in Black Biro, Storytime, Authorme, Storymoja, Eastown fiction, forthcoming in jungle jim and elsewhere. His story collection The book of M is due to be out soon. A recipient of the Reading Bridges fellowship, Samuel lives in Ibadan, southwest Nigeria where he has begun work on his novel Olivia of Hustle House. Read his fiction piece “Mud, if it Were Gold” featured in issue 7. 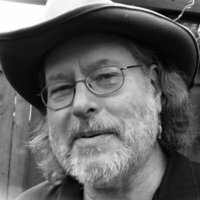 Rich Ives has received grants and awards from the National Endowment for the Arts, Artist Trust, Seattle Arts Commission and the Coordinating Council of Literary Magazines for his work in poetry, fiction, editing, publishing, translation and photography. His writing has appeared in Verse, North American Review, Massachusetts Review, Northwest Review, Quarterly West, Iowa Review, Poetry Northwest, Virginia Quarterly Review, Fiction Daily and many more. He is the 2009 winner of the Francis Locke Memorial Poetry Award from Bitter Oleander. His story collection, The Balloon Containing the Water Containing the Narrative Begins Leaking, was one of five finalists for the 2009 Starcherone Innovative Fiction Prize. In 2010 he has been a finalist in fiction at Black Warrior Review and Mississippi Review and in poetry at Cloudbank and Mississippi Review. 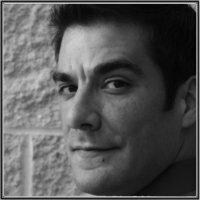 Read his fiction piece “Who the Hell Does He Think He Is?” in issue 7. The full magazine with featured art and artists can be found here. Check back tomorrow to read about the interviews featured in Issue 7.